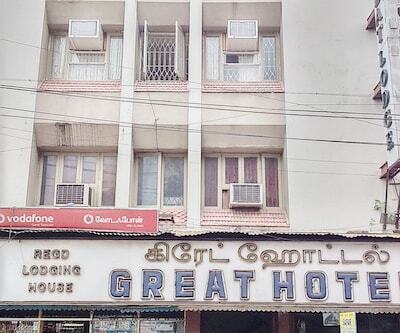 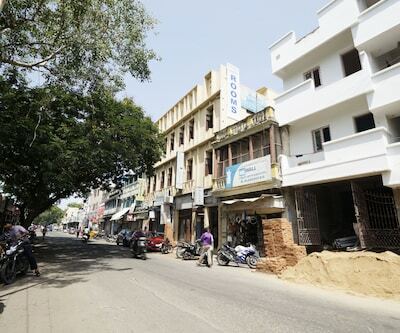 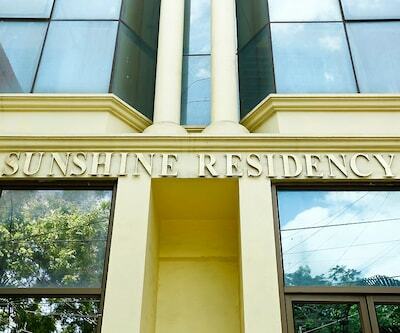 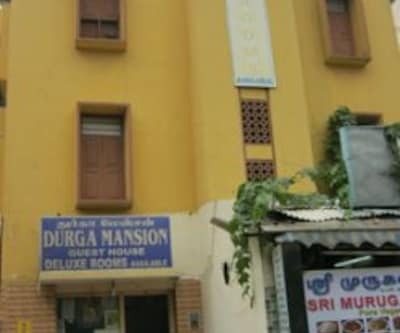 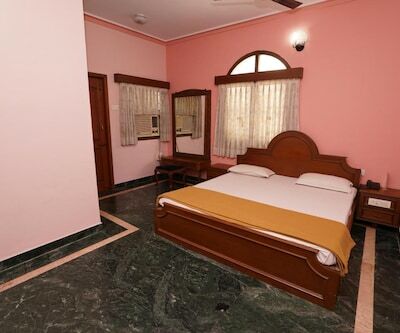 DSK Castle is at 1 km from the Marina Beach and at 4 km from the Chennai Central Railway Station.This accommodation in Chennai has rooms with attached baths that receive hot and cold water supply. 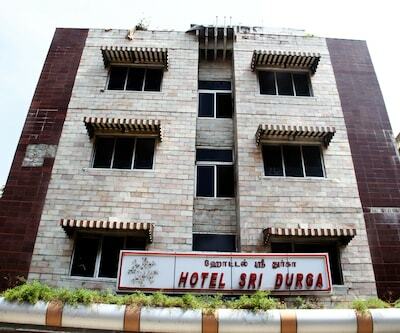 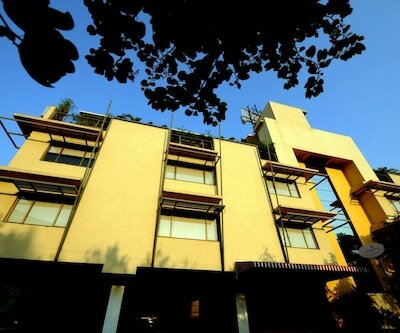 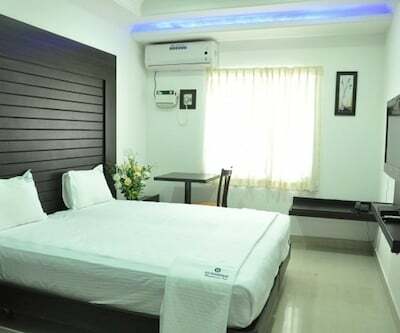 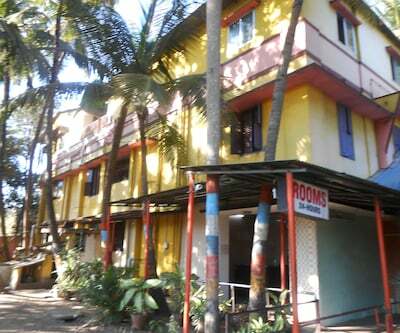 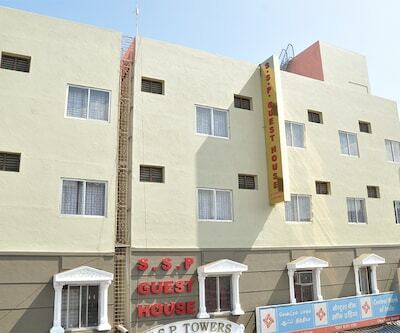 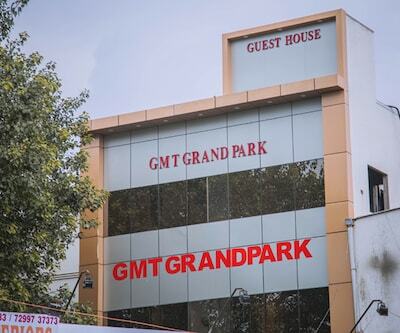 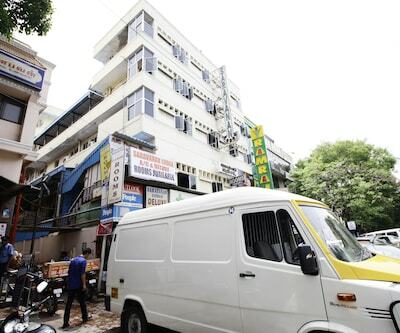 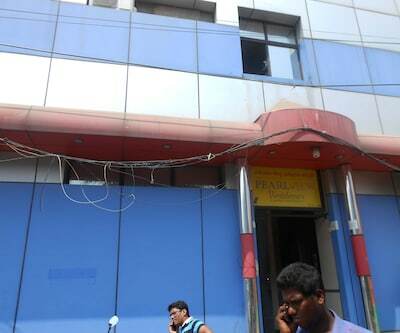 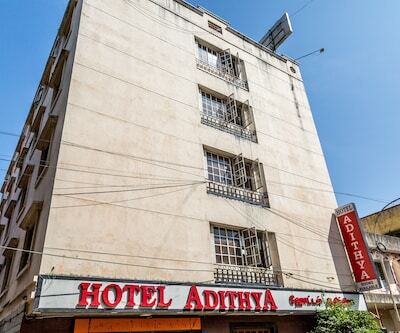 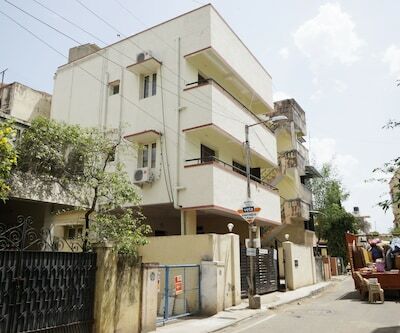 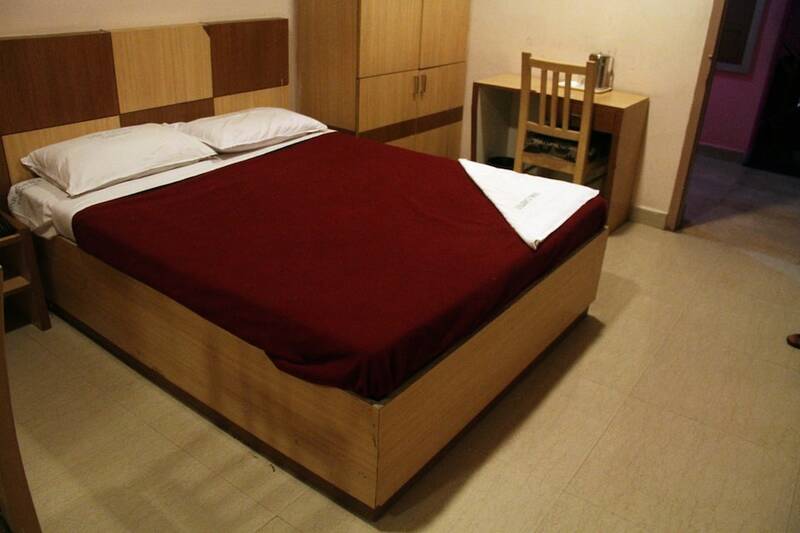 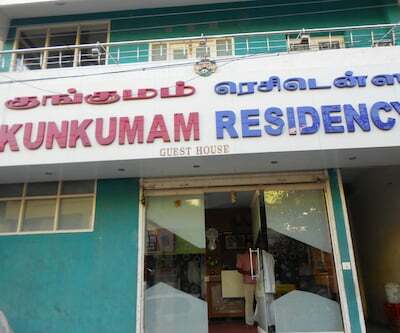 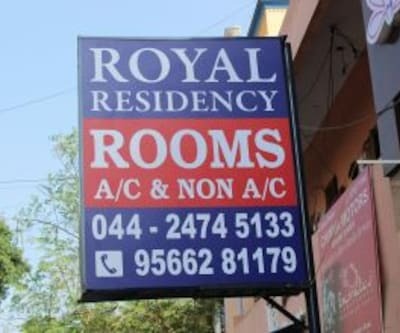 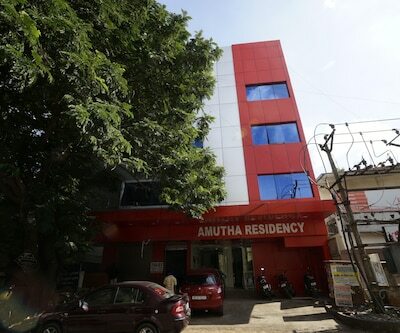 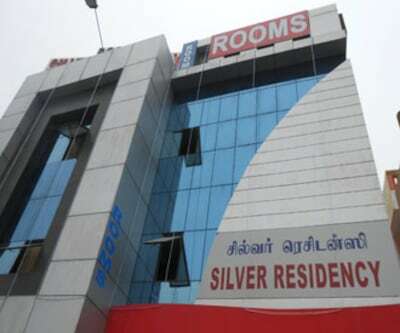 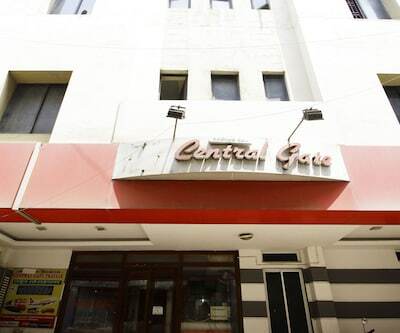 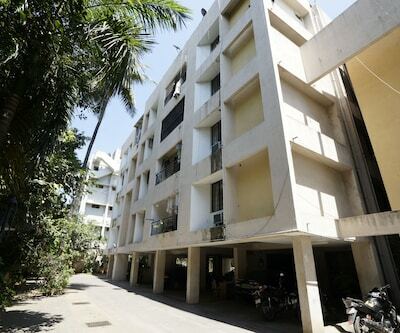 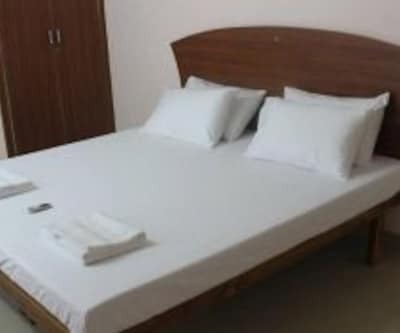 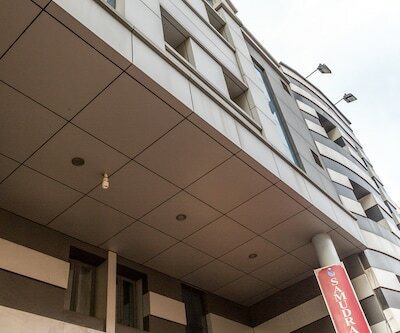 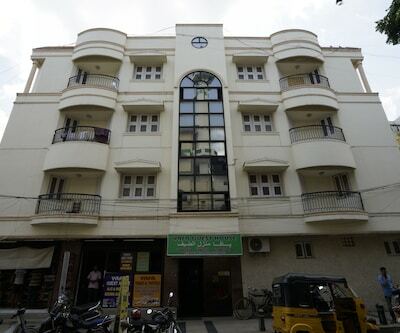 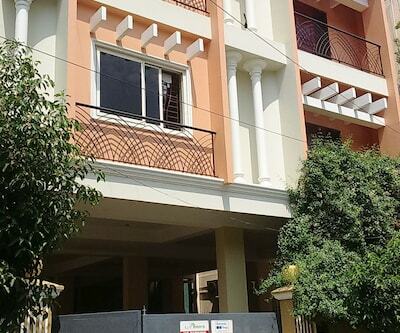 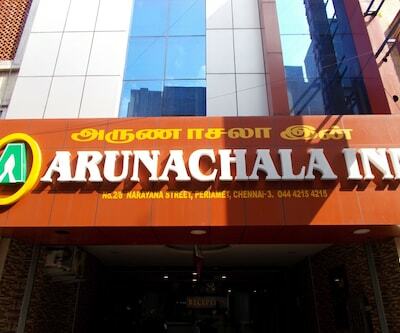 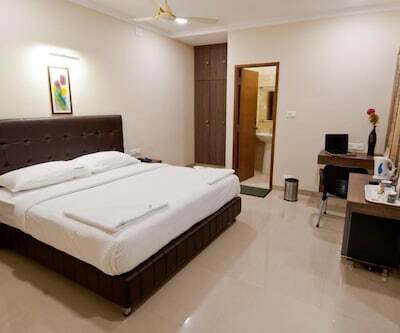 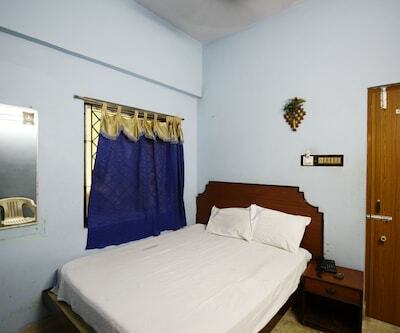 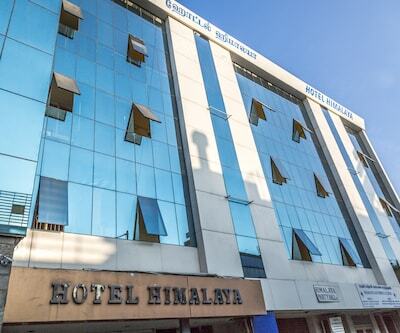 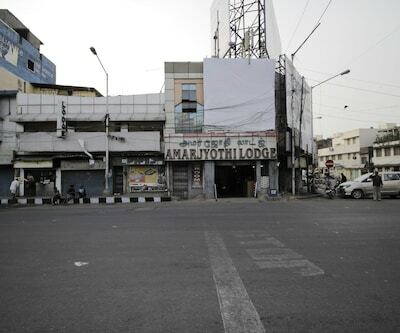 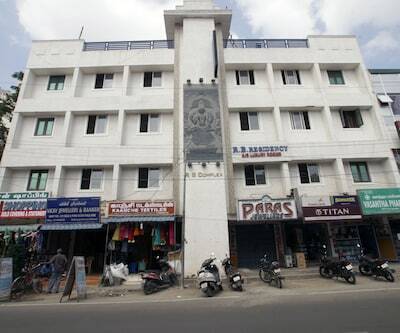 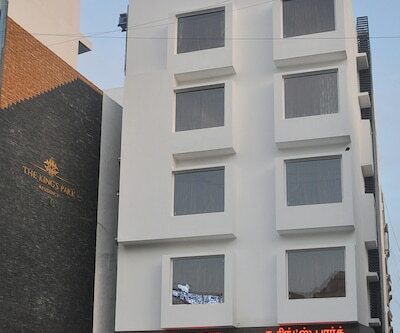 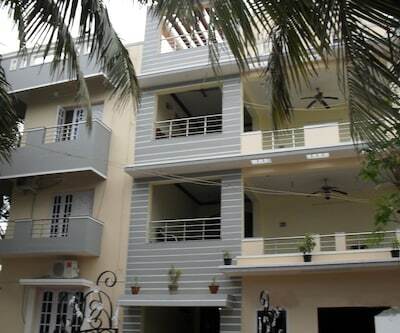 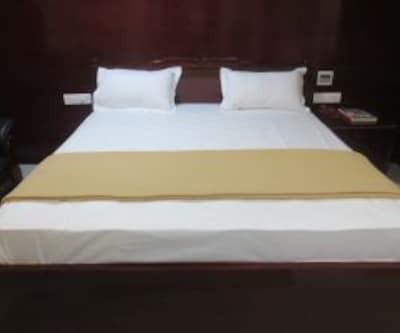 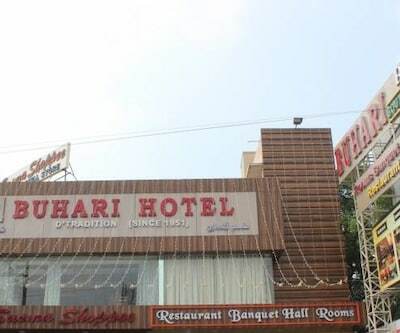 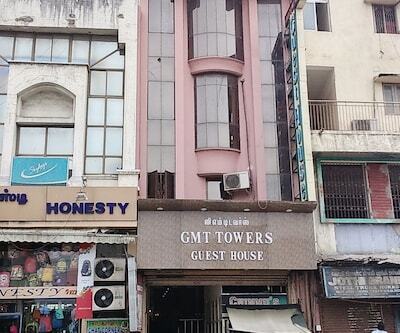 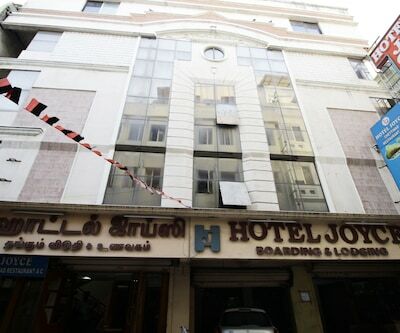 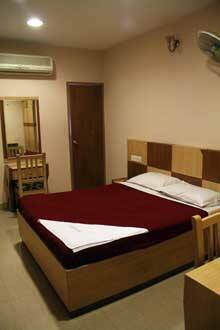 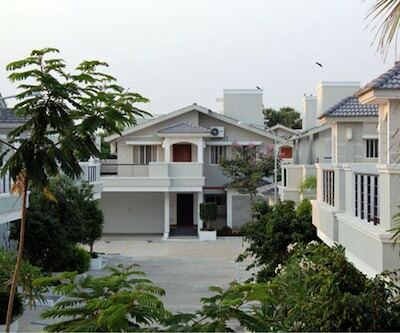 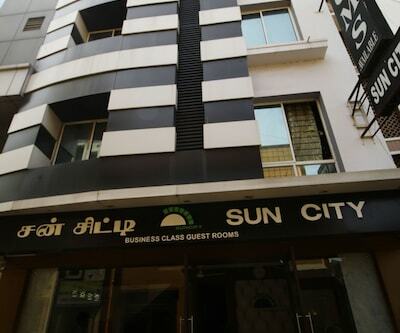 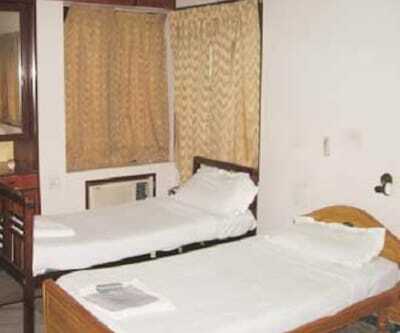 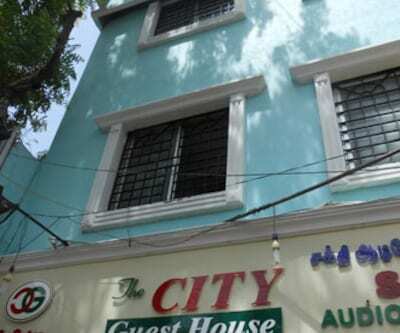 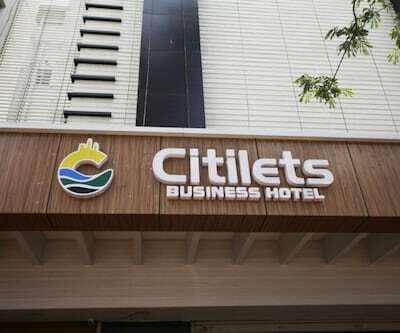 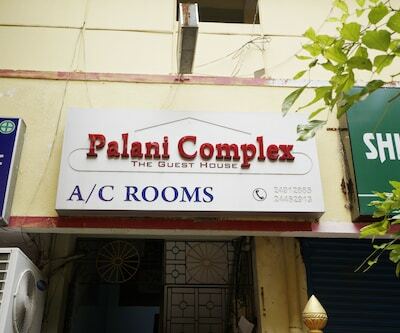 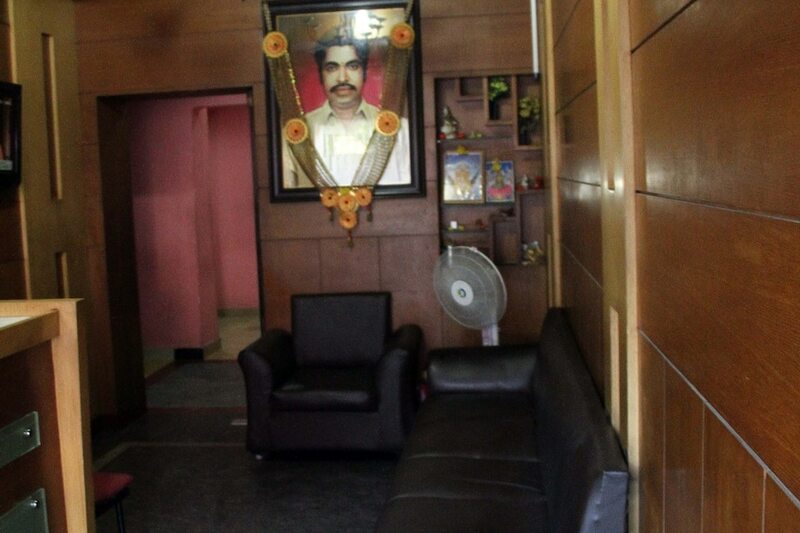 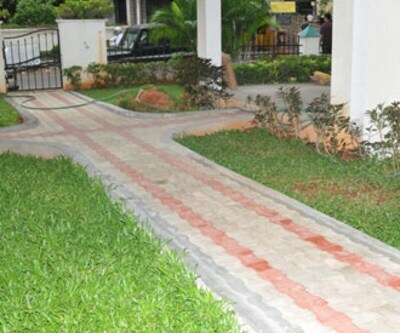 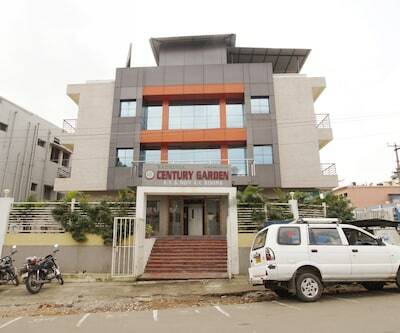 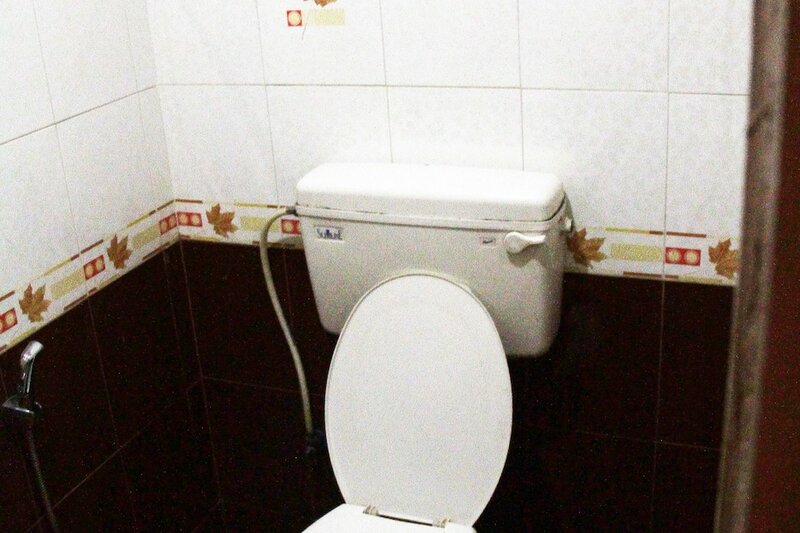 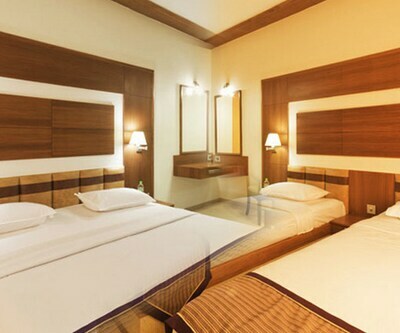 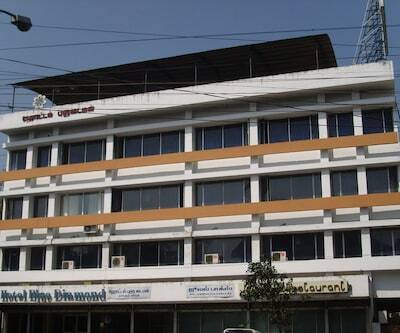 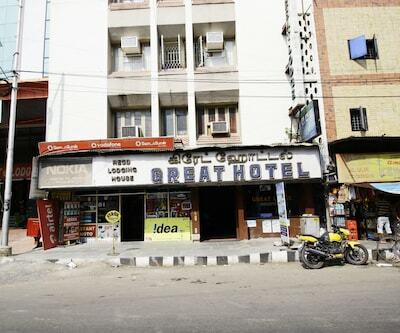 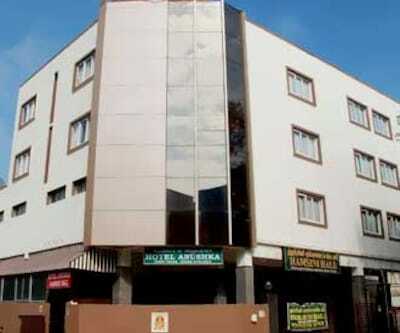 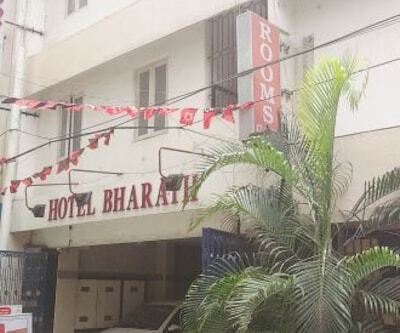 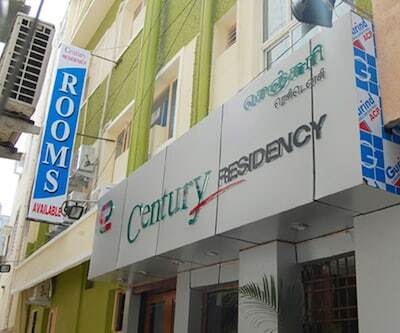 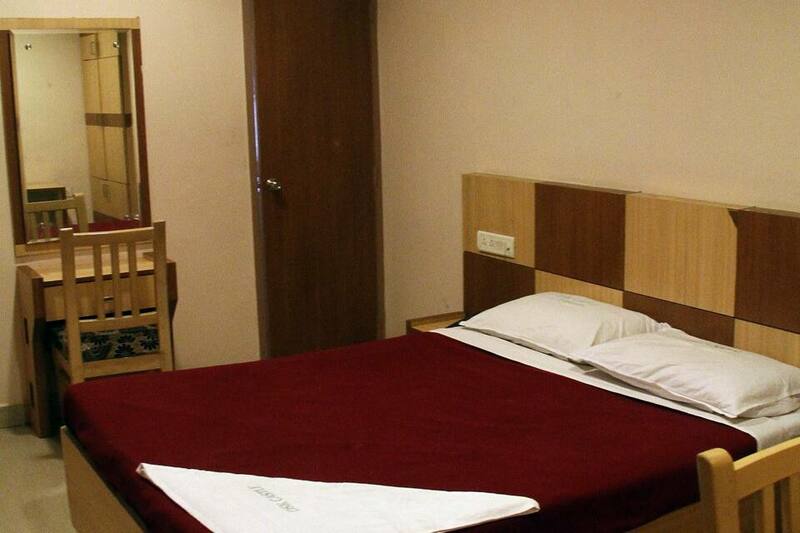 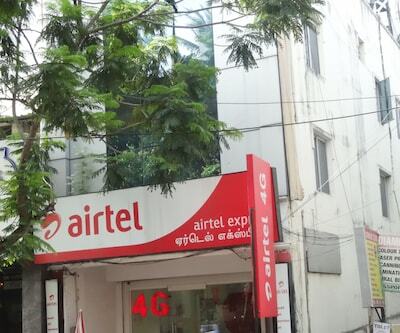 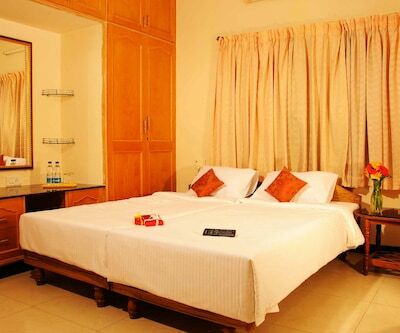 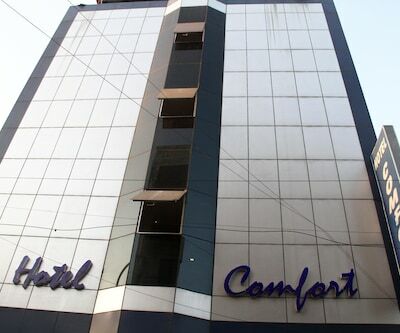 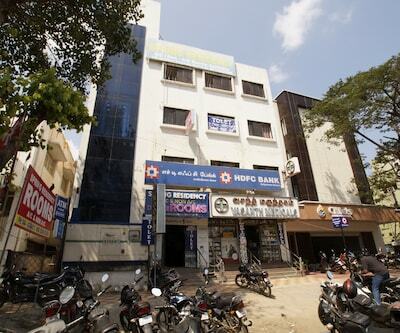 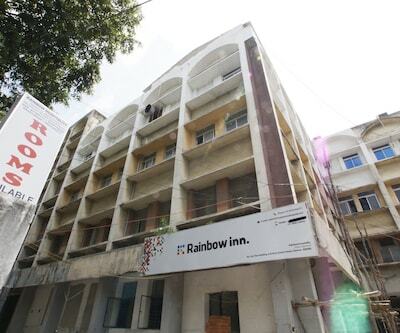 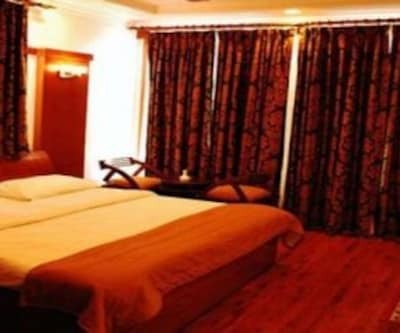 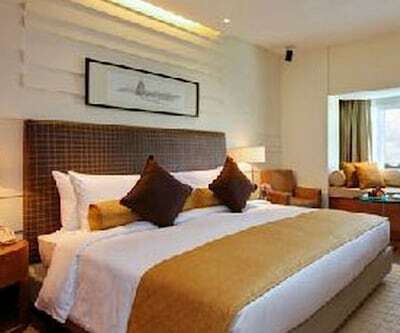 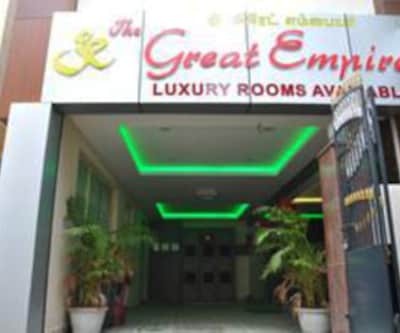 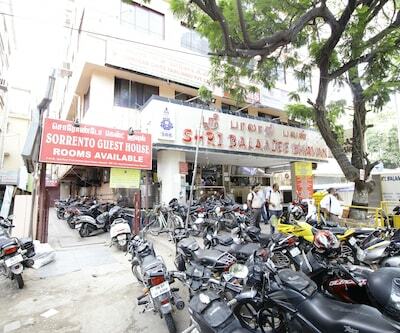 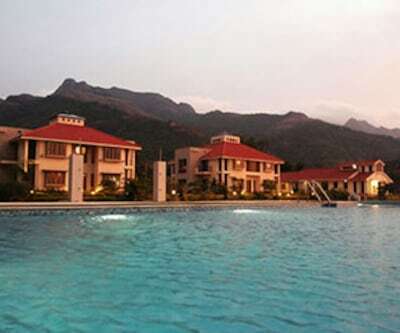 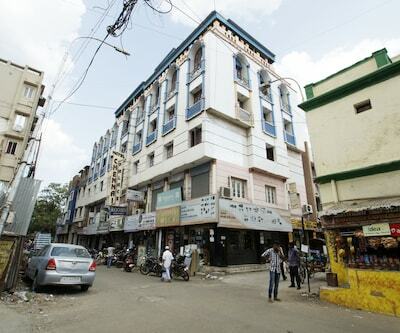 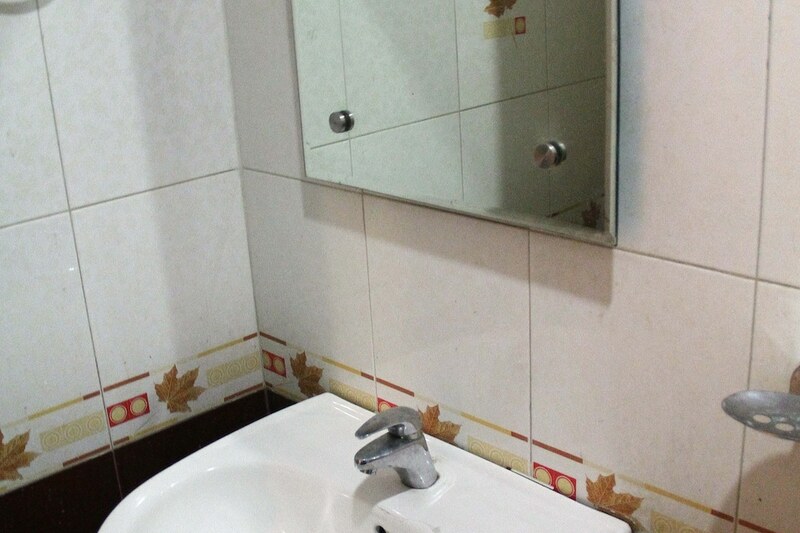 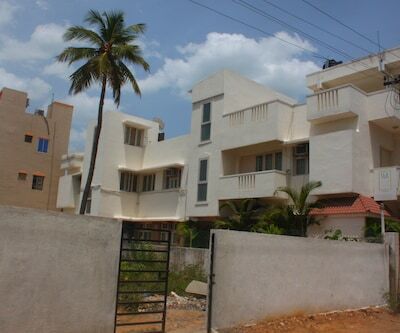 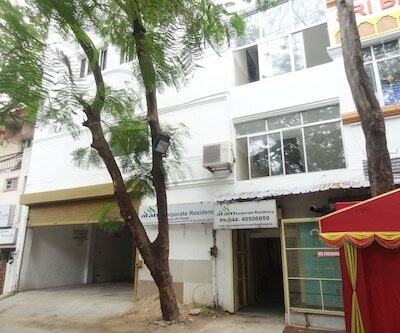 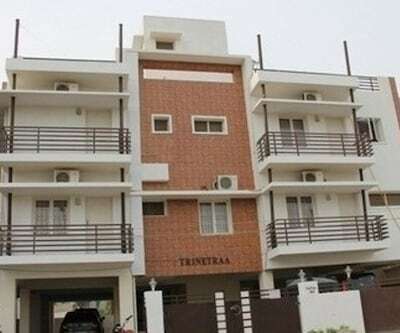 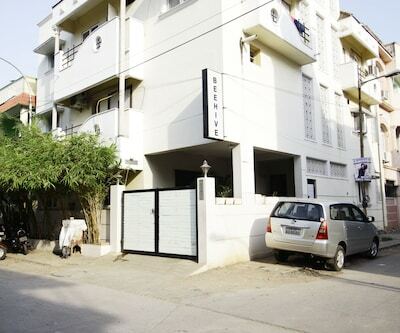 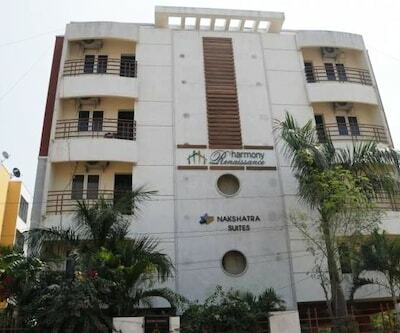 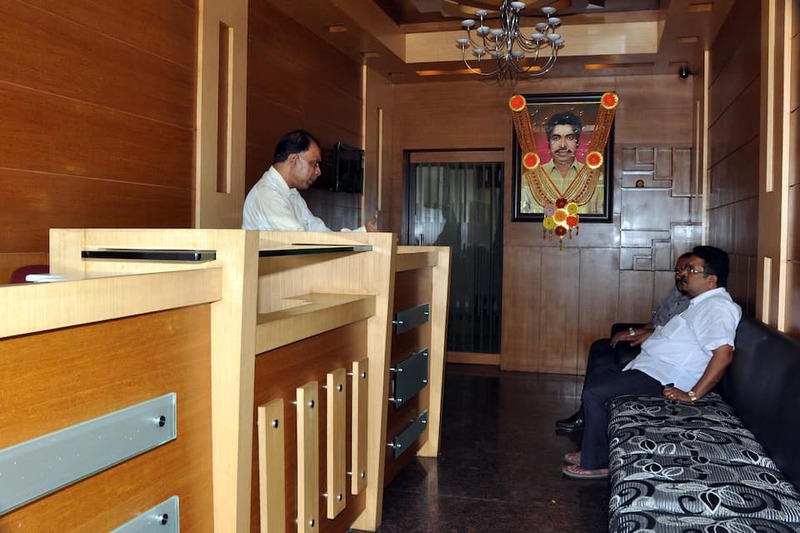 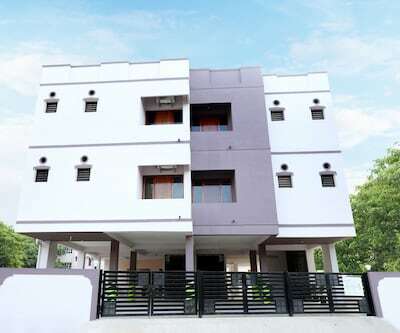 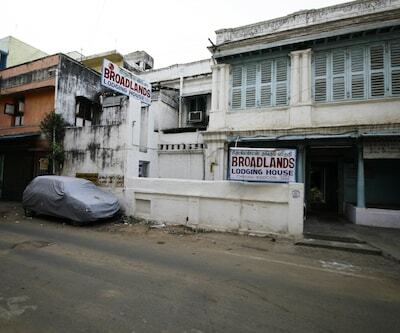 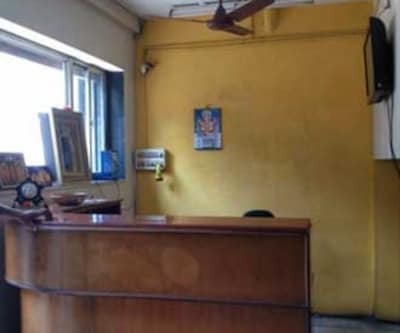 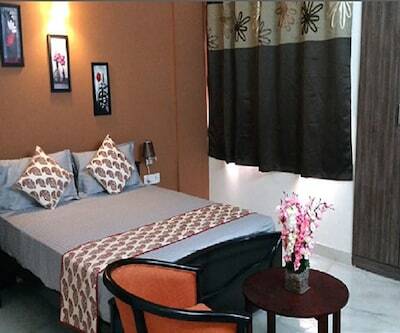 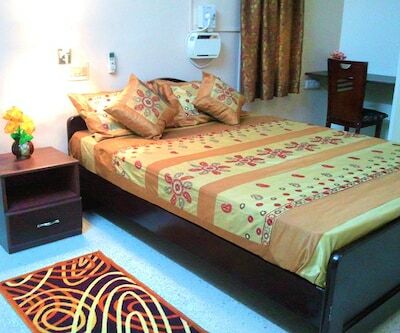 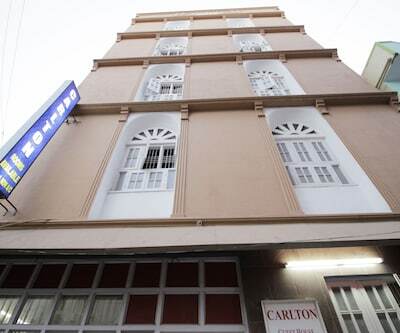 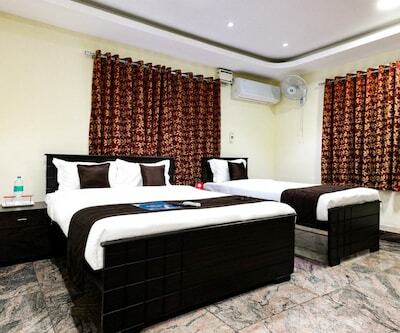 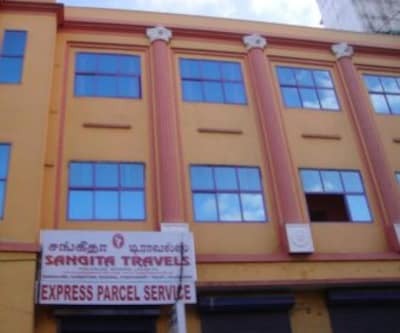 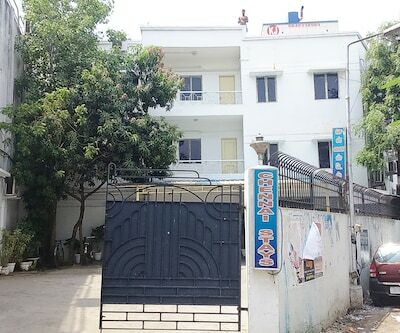 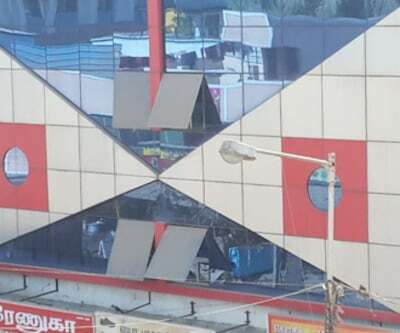 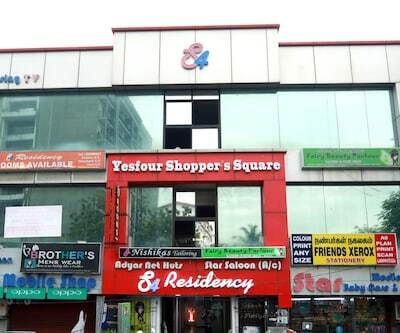 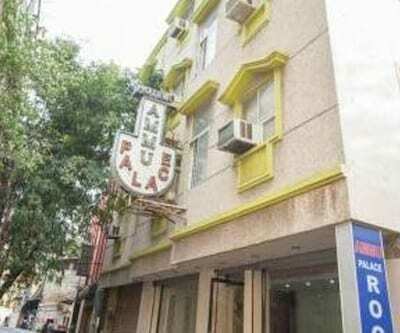 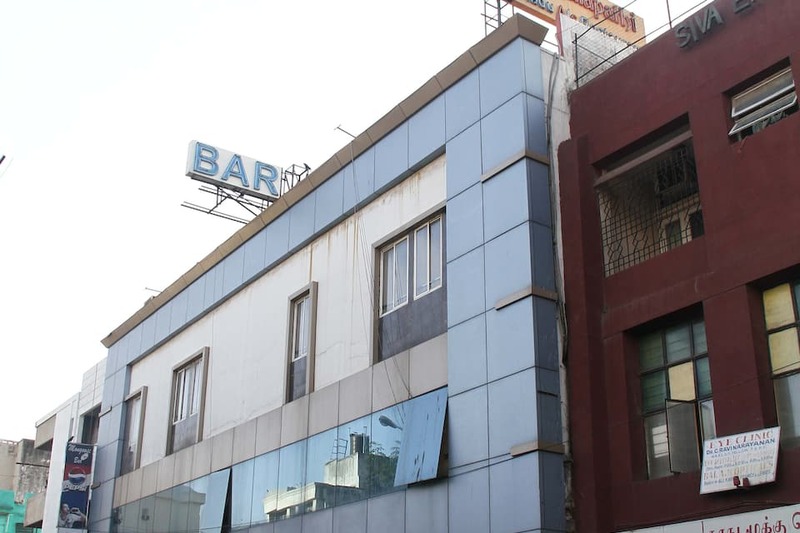 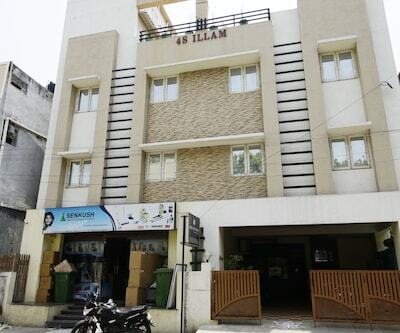 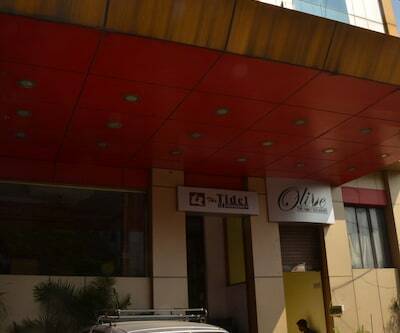 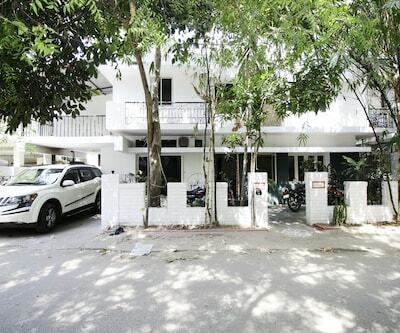 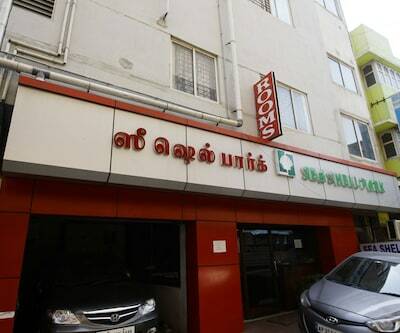 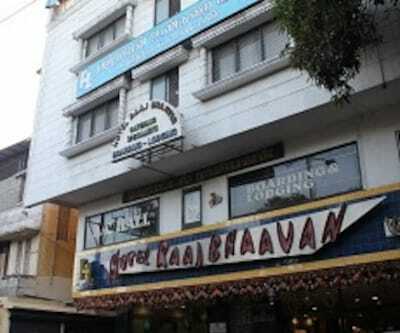 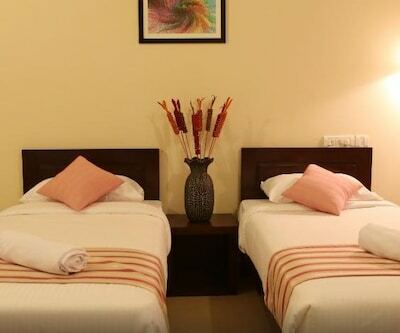 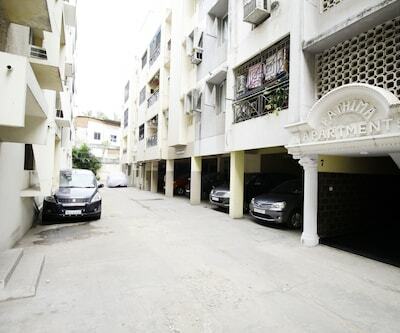 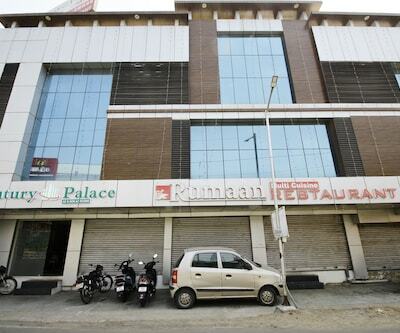 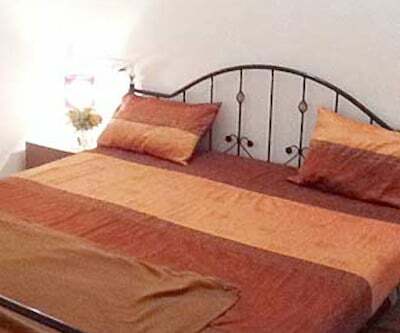 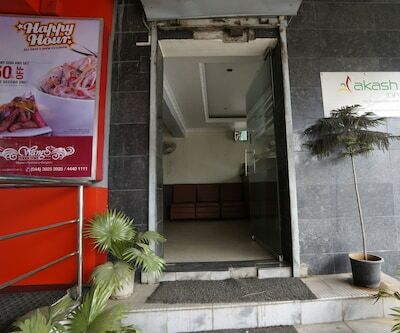 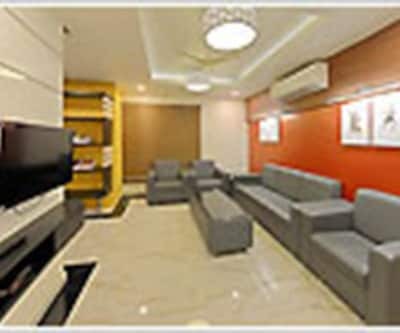 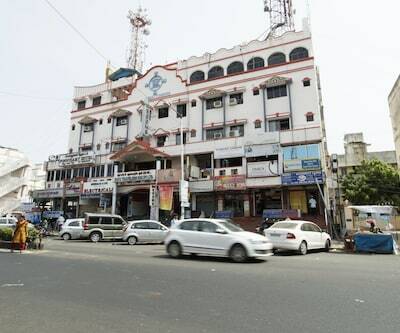 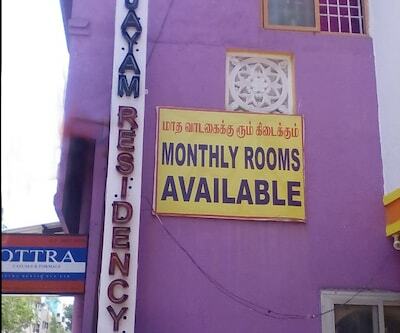 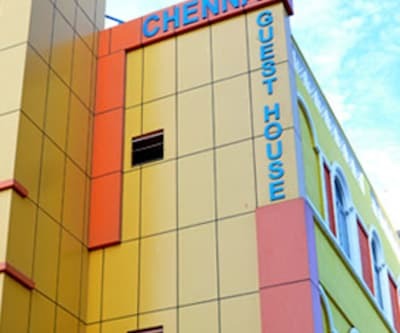 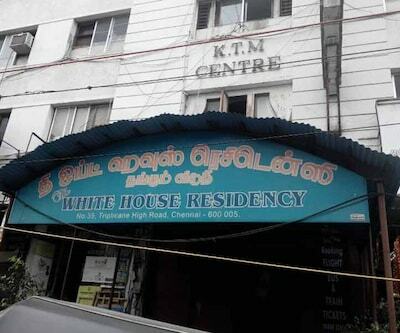 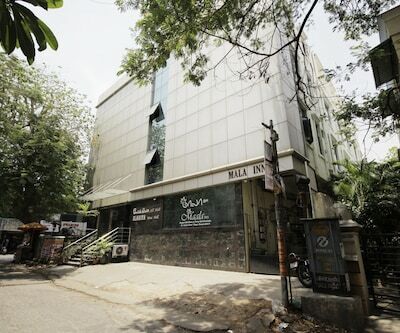 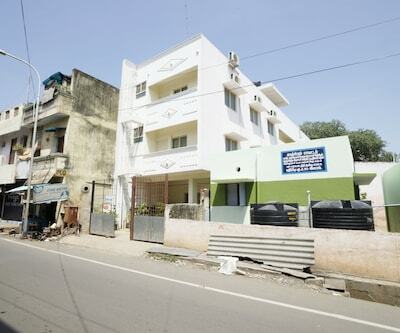 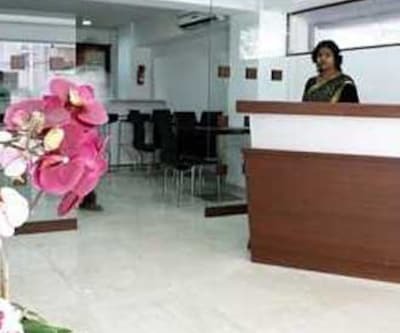 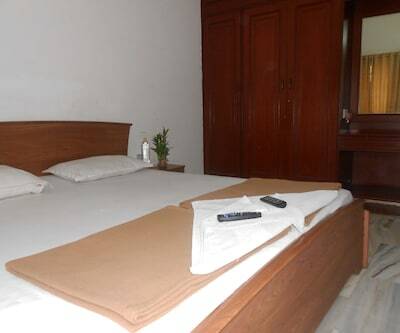 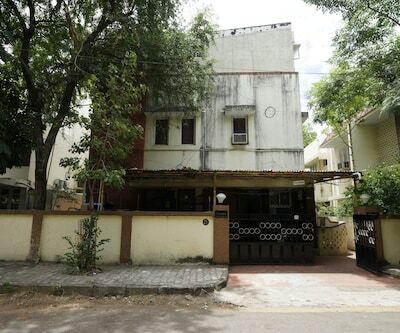 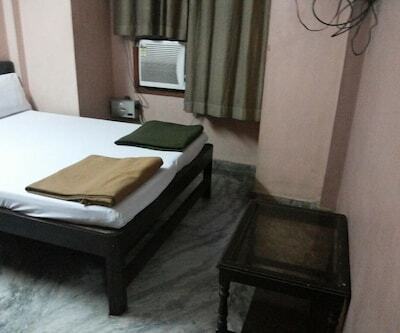 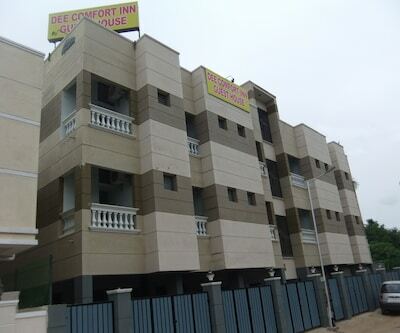 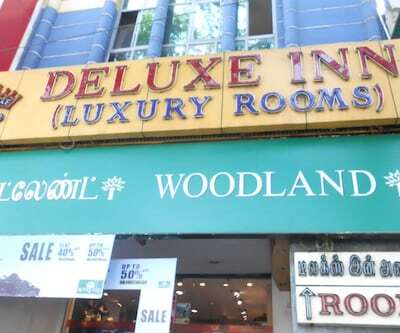 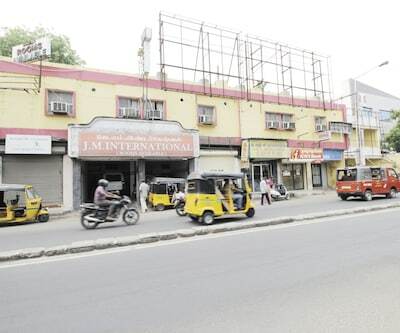 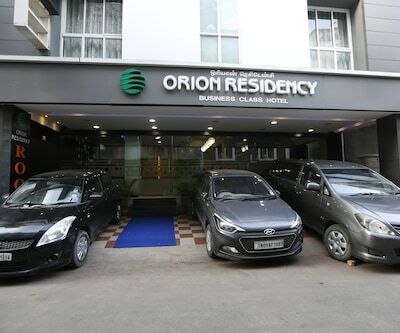 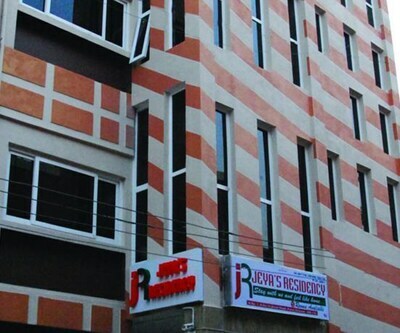 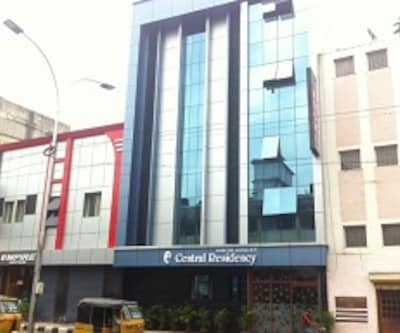 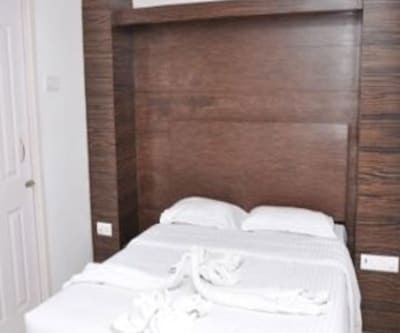 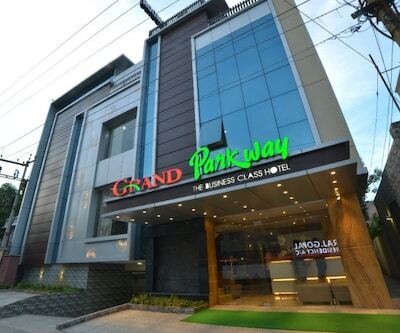 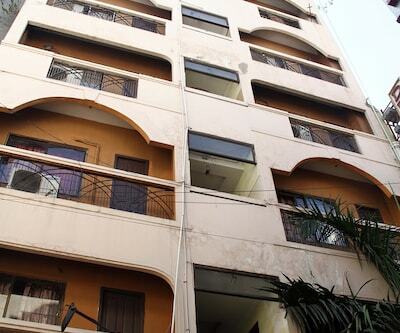 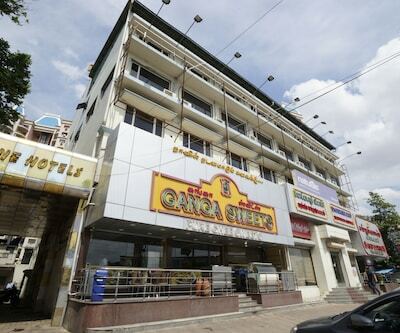 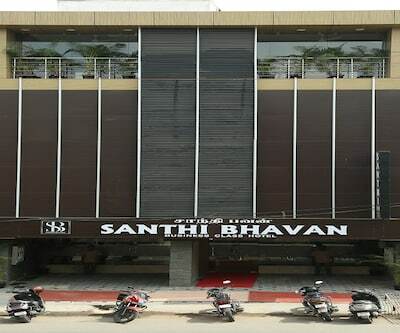 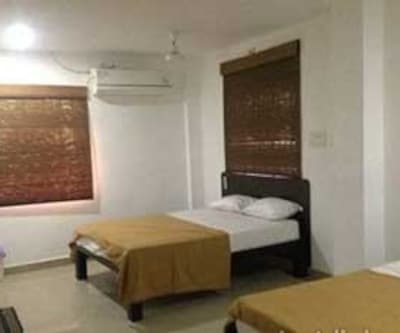 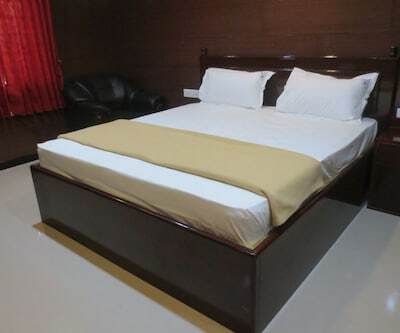 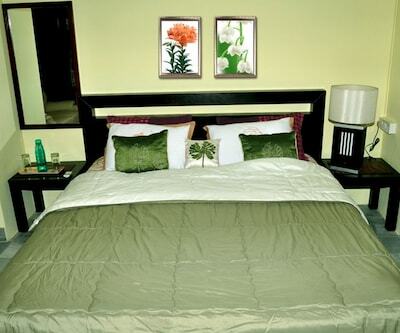 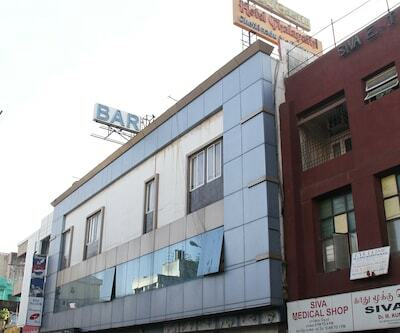 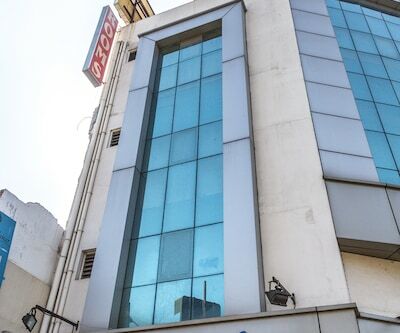 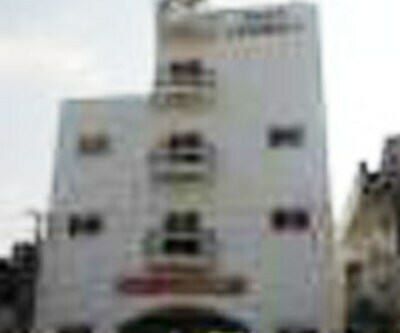 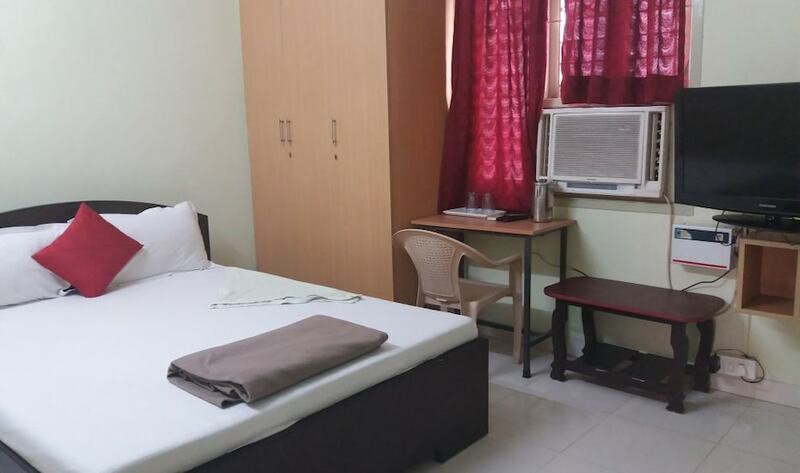 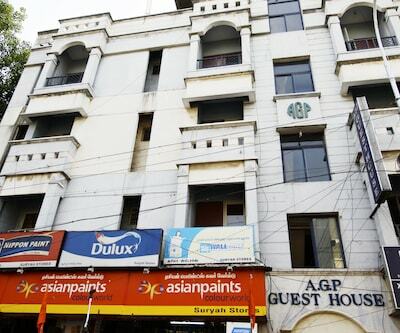 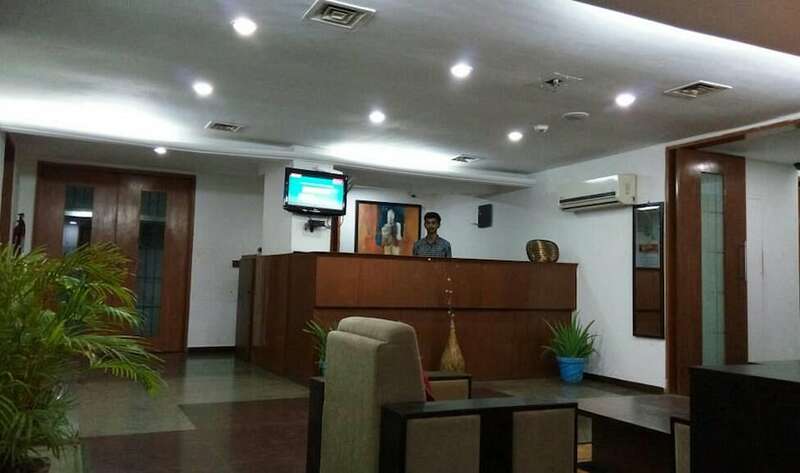 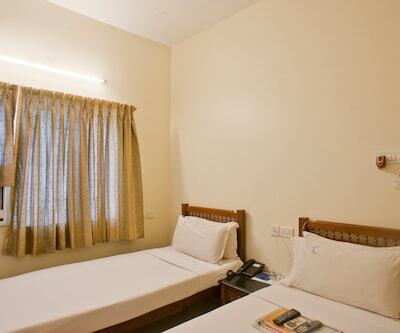 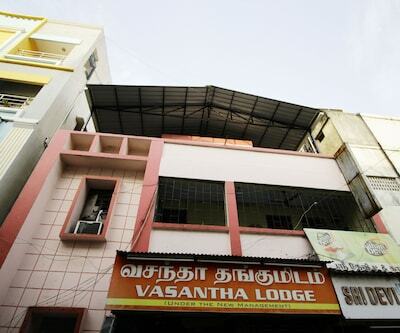 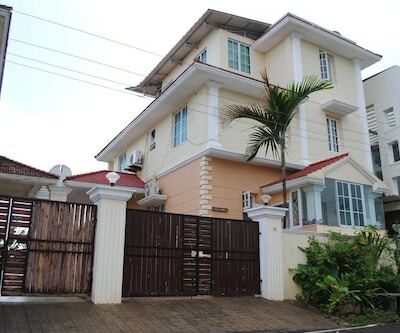 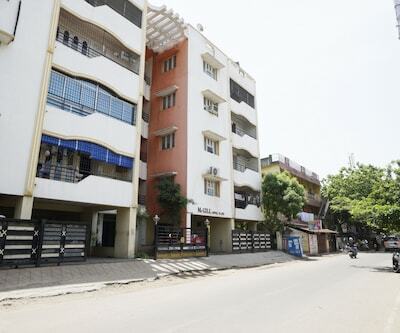 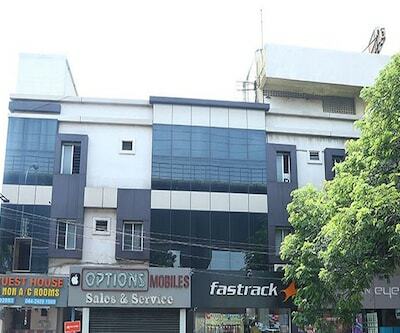 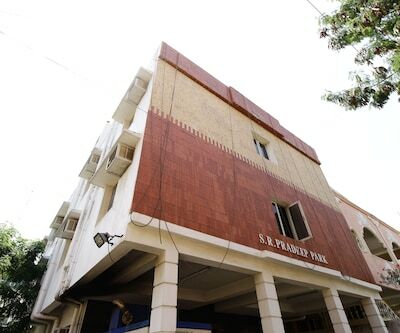 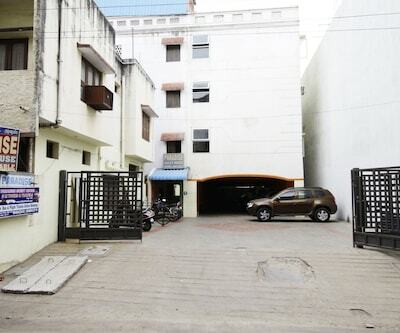 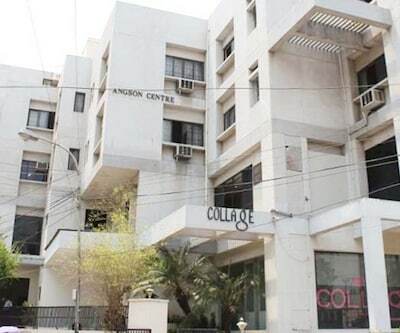 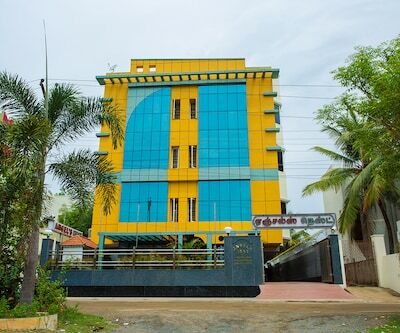 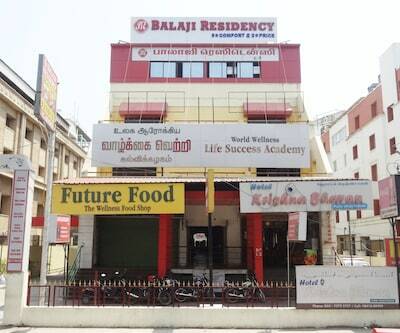 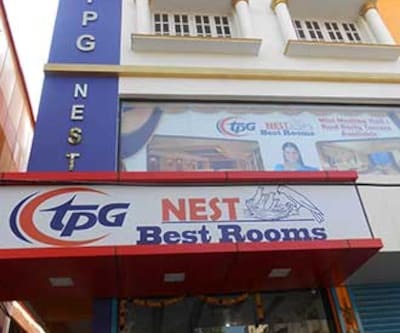 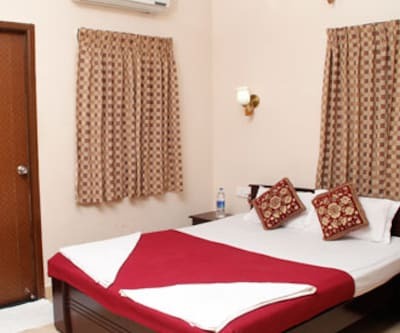 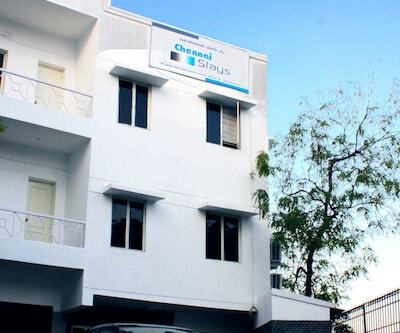 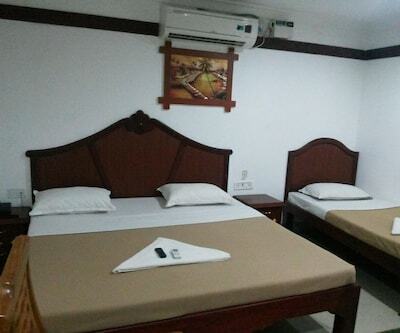 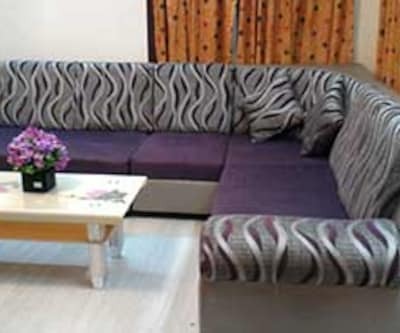 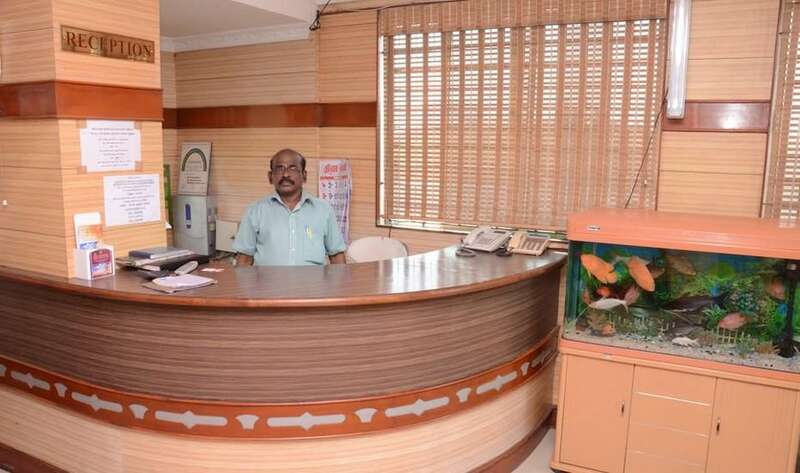 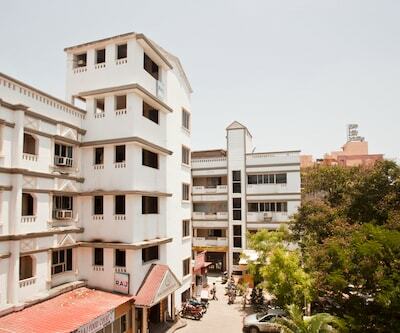 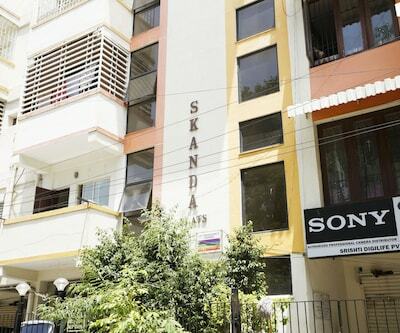 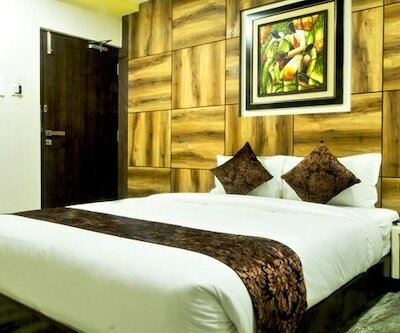 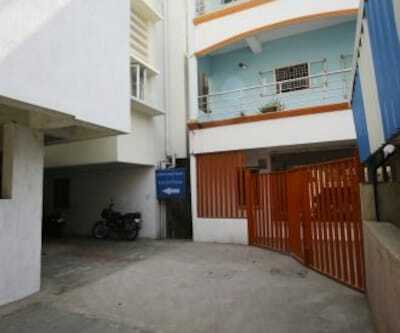 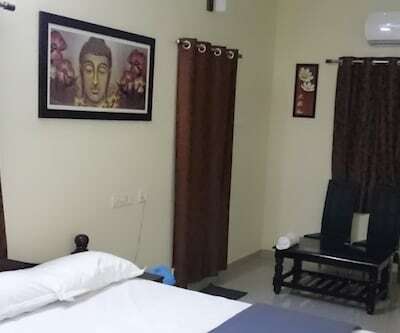 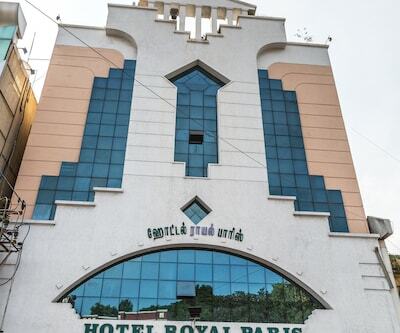 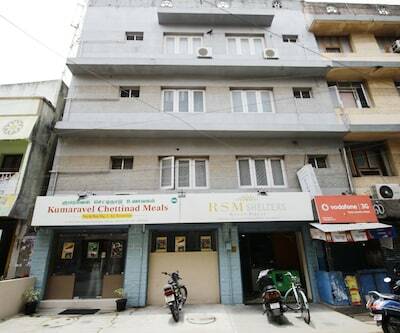 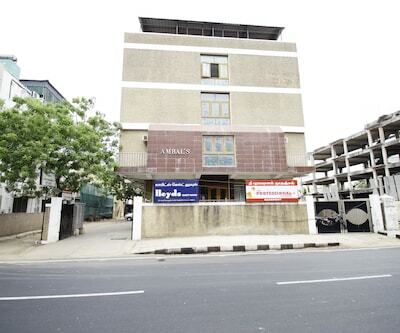 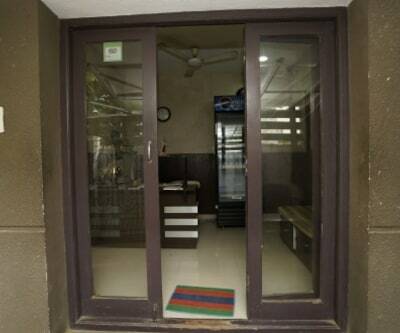 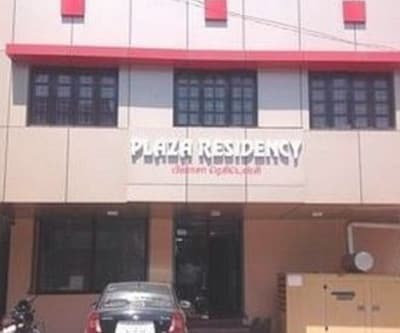 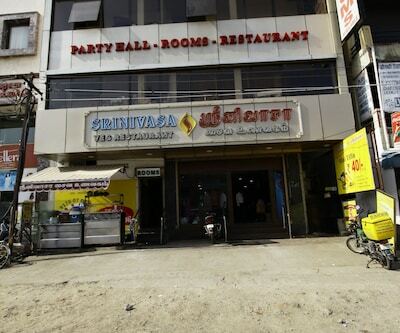 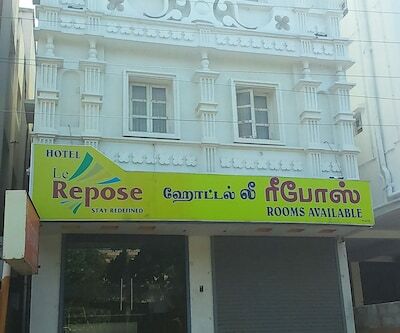 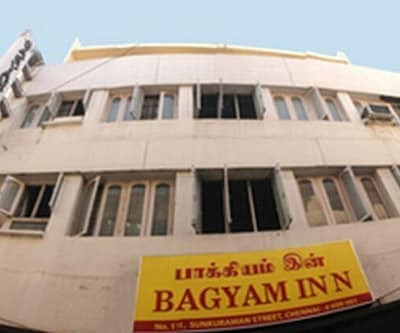 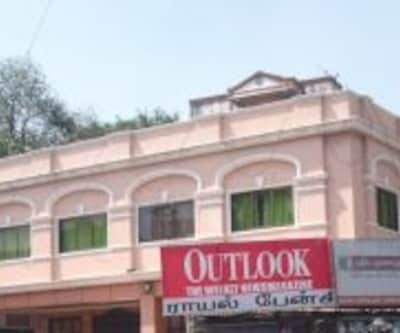 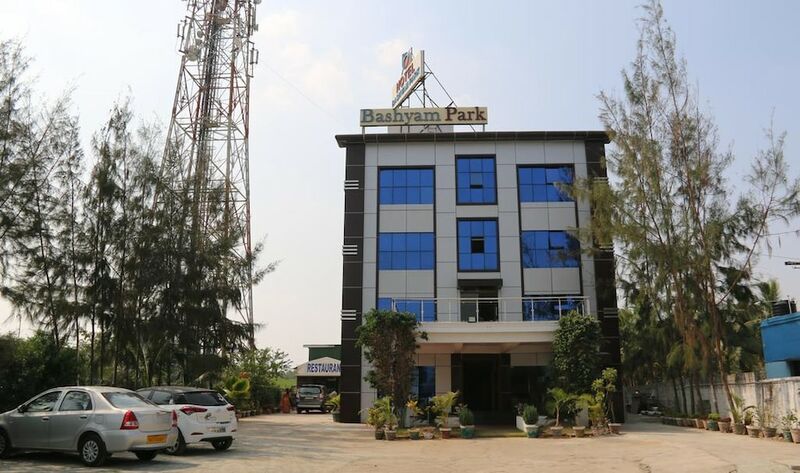 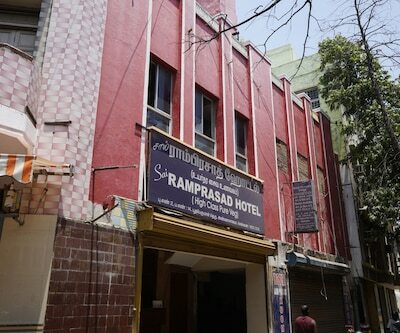 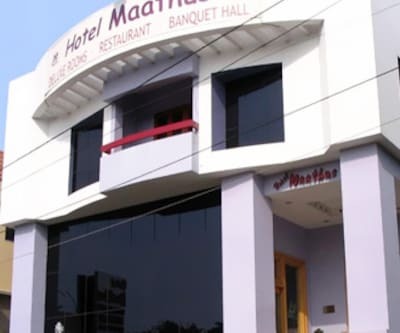 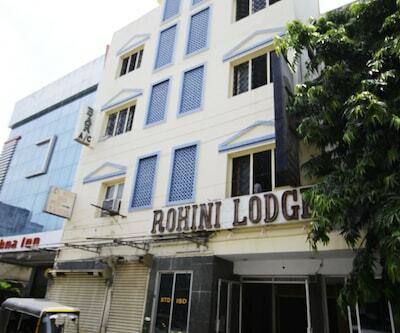 All rooms have televisions, desks, and makeup mirrors.Services and facilities that guests in this Chennai property can avail of include banquet facilities, laundry, currency exchange, medical assistance, front desk assistance, room service, and newspapers.DSK Castle is at 18 km from the Chennai International Airport and at 11 km from the Koyambedu Bus Stand. 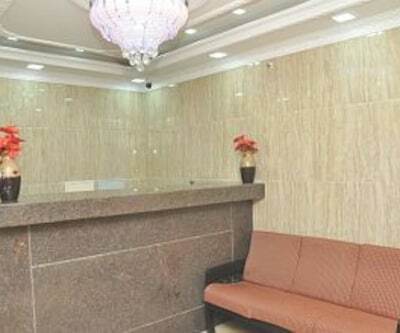 The accommodation has a travel desk facility. 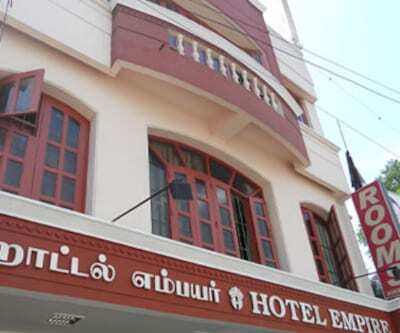 Places of interest to explore include the Government Museum Chennai (3 km), Kapaleeswarar Temple (4 km), and Elliot's Beach (10 km).